James is a partner at the practice, and has over 10 years of experience. He is the manager of our Halesowen practice. 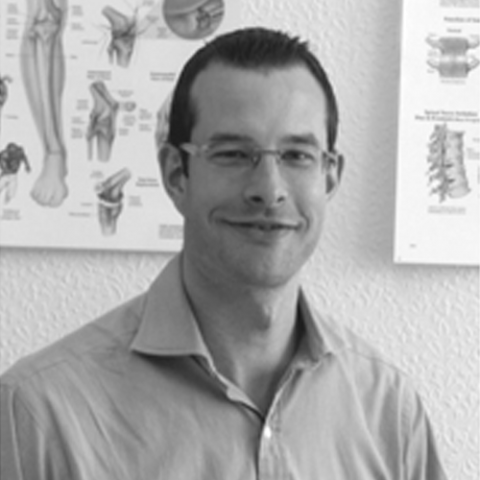 James graduated from Coventry University in 1999 with a first class honours degree in physiotherapy, and became a partner at Worcestershire Physiotherapy in 2004 having worked freelance with the practice for the previous two years. Prior to this James gained extensive musculoskeletal experience both in hospitals and in the community, where he worked closely with a number of GP practices. James has undertaken numerous postgraduate courses including acupuncture and spinal manipulation, and in 2003 gained membership of the society of orthopaedic medicine. He is currently studying for a masters degree in advanced manipulative physiotherapy at Birmingham university.